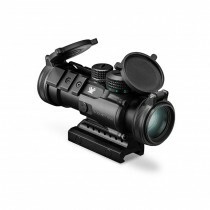 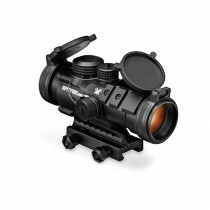 Designed specifically for the AR platform, the 3x Spitfire combines an impressive array of high-performance features into a rugged, ultra-compact package. 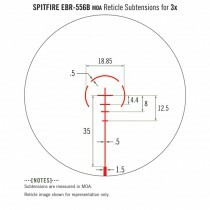 When fast target acquisition in close- to medium-range shooting applications is a priority, the Spitfire excels. 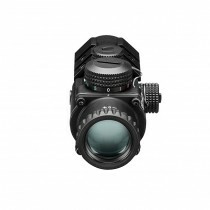 Laced with advanced features, the sophisticated prism-based design allows for a more compact optical system without sacrificing optical quality. 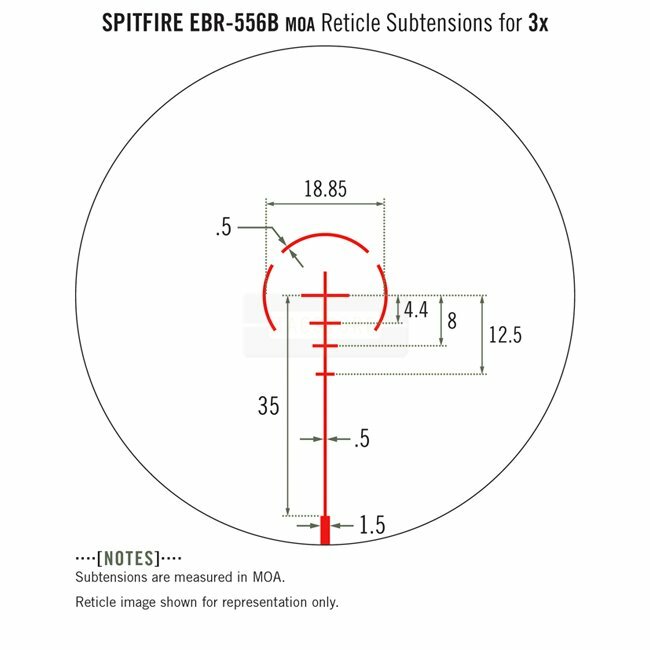 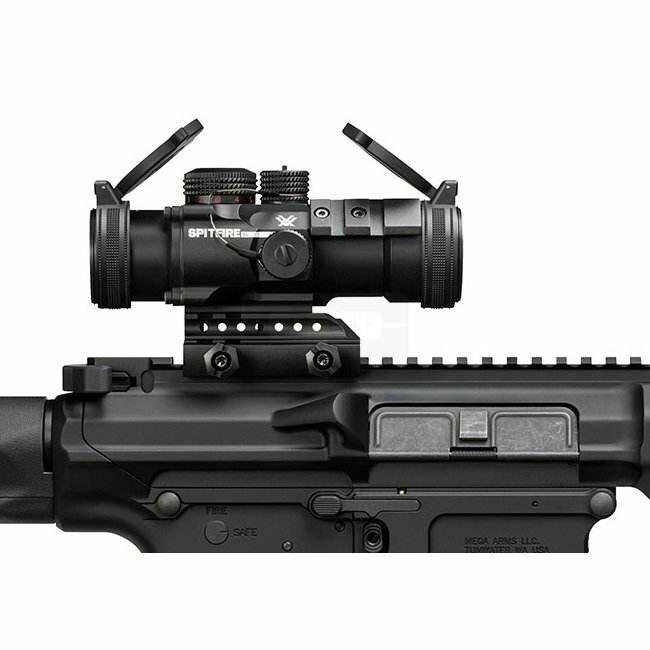 The EBR-556B is a hybrid reticle with BDC drop subtensions that match the popular 556 cartridge, etched directly on the prism to assure consistent point-of-aim at all times with selectable red/green illumination of five intensity levels to match specific conditions.